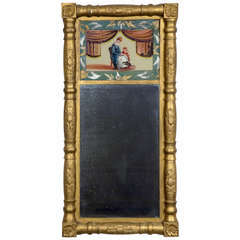 Karl Johan Empire gilded mirror with original silvered glass, Stockholm stamped 1827. 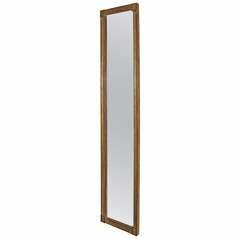 Measures: 22 1/2" wide x 4 1/2" deep x 45" high. 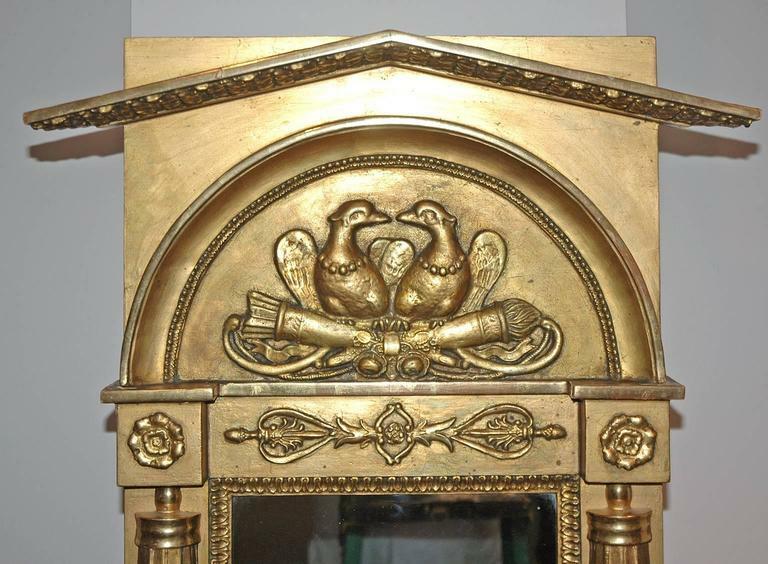 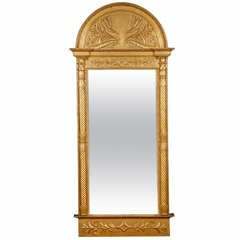 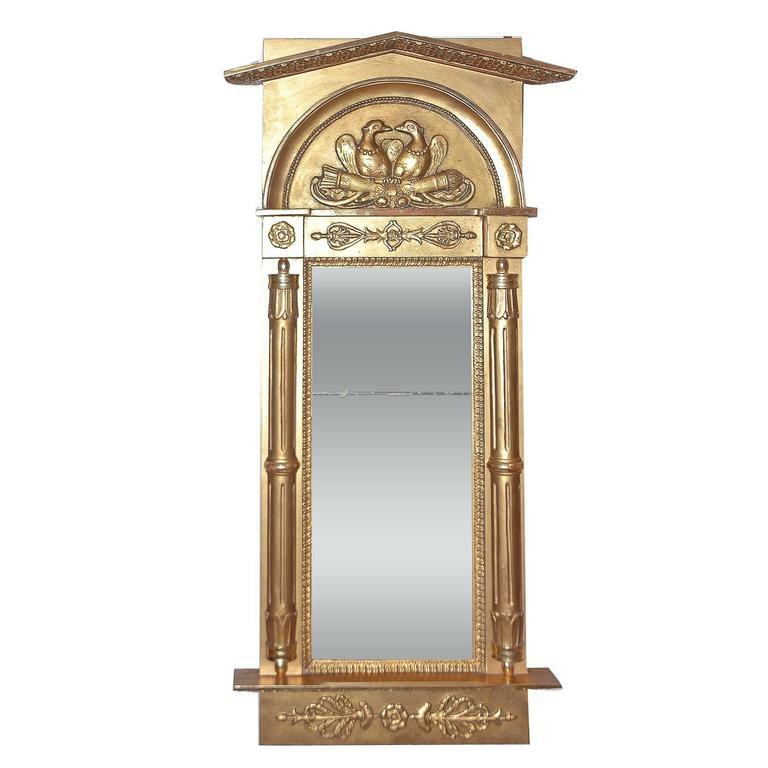 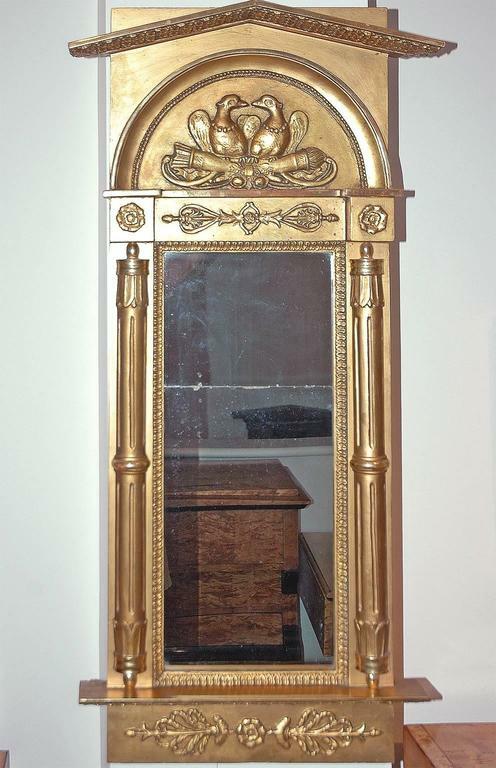 This elegant gilded mirror is from Italy and is made from pinewood, circa 1870. 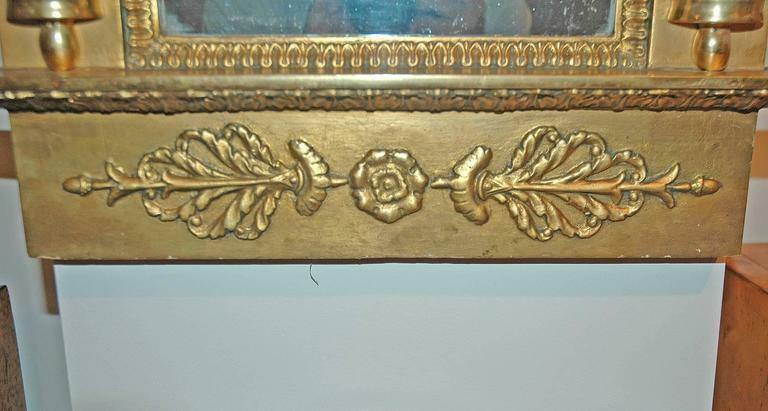 This piece features its original glass. 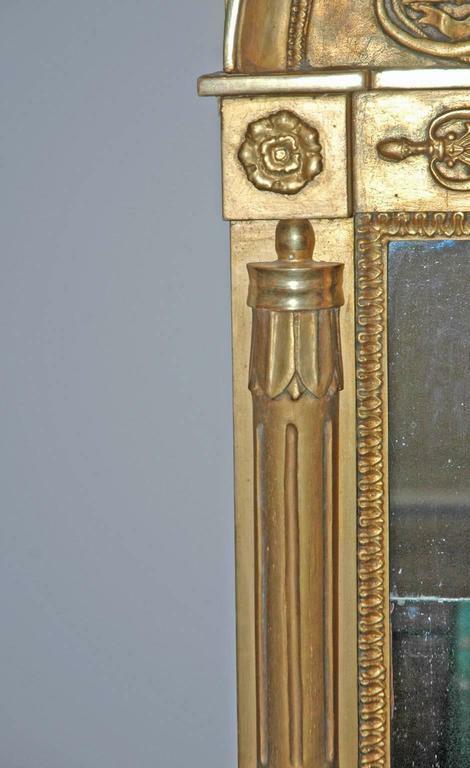 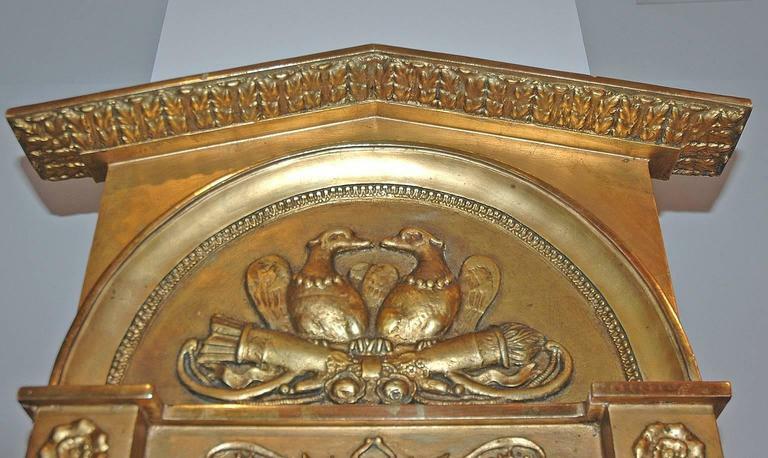 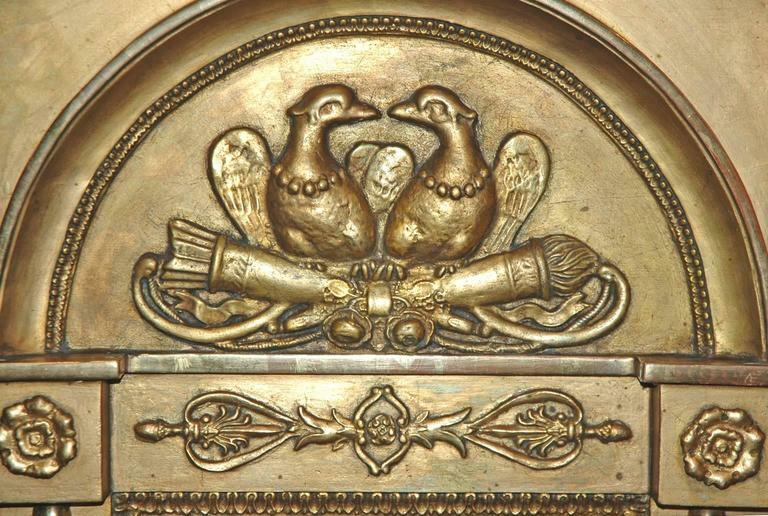 A small and tall gilded Empire mirror (to hang between tall windows). 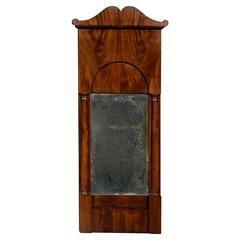 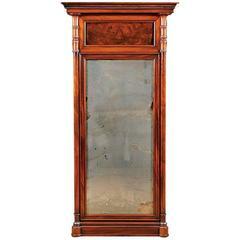 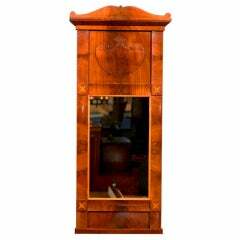 Swedish Karl Johan (Biedermeier) Mirror of crotch mahogany with original aged mirror. 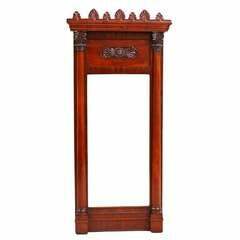 Late Empire mirror in mahogany decorated with gilded leaf from around the 1840s. 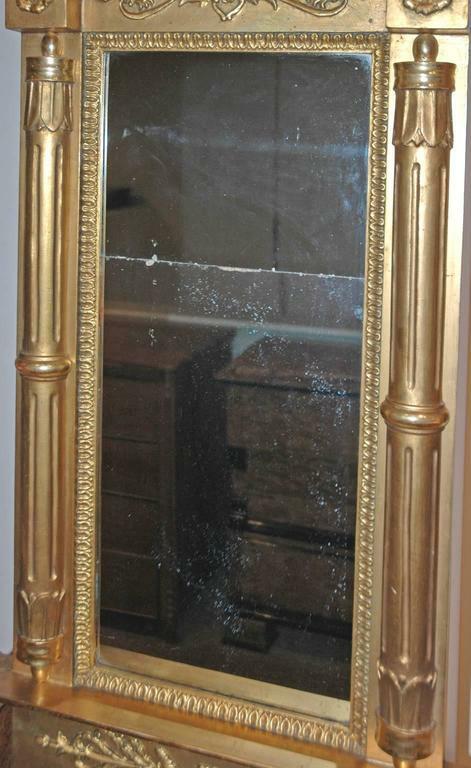 The mirror is in great vintage condition. 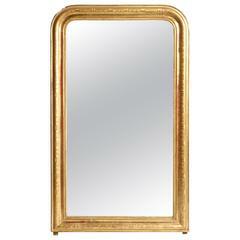 Gustavian mirror, richly carved and with original guilt, original glass, circa 1780. 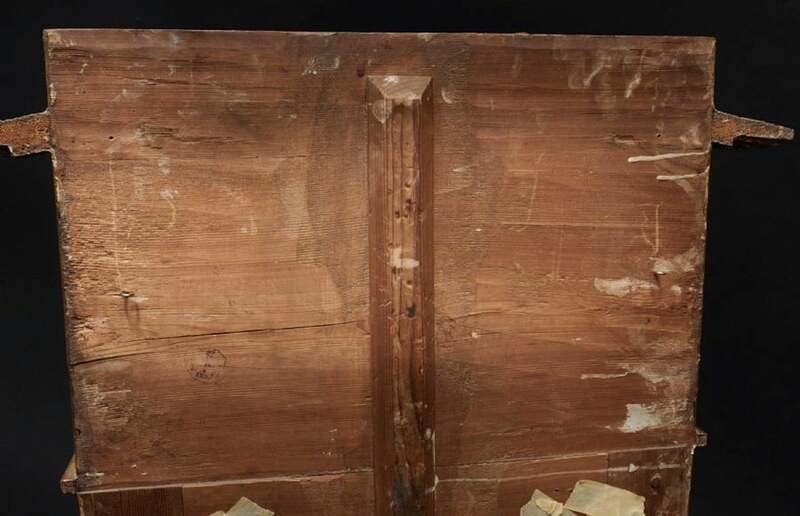 Measures: H. 94 W. 36 cm. 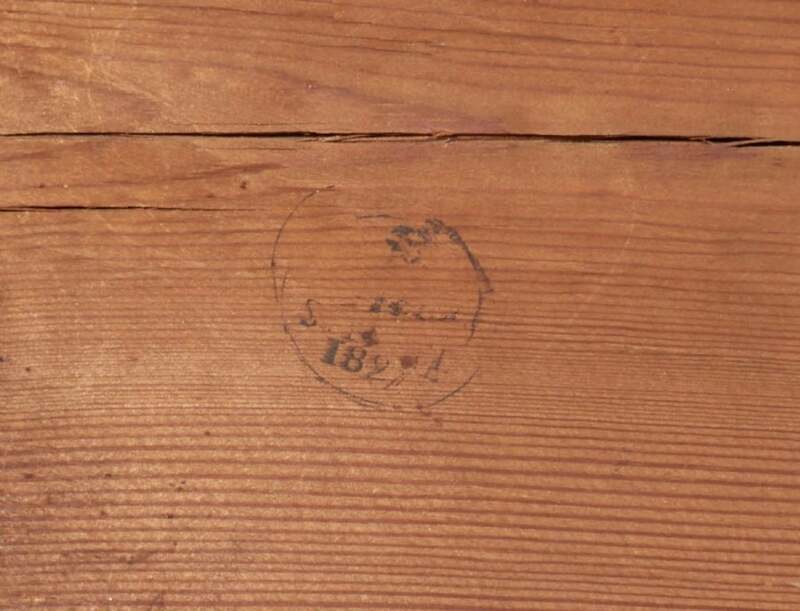 H. 37 W. 14.1 in.